The Pininfarina family will sell their stake in the historic 600 million euro debt laden Italian design-and-engineering company as the long drawn out restructuring plan which will see an end to contract manufacturing is finally in place. Pininfarina S.p.A. has announced that the ongoing negotiations with lender institutions for a framework agreement defining the terms and conditions of transactions stipulated with lender institutions to recapitalise the Company and reschedule its medium- and long-term debt (the “Framework Agreement”) are about to be completed. Consequently, it looks forward, sometime tomorrow, to signing the Framework Agreement, the related agreements and an agreement to reschedule its entire debt exposure (the “Rescheduling Agreement”). Pursuant to the Framework Agreement, the process of restoring equilibrium to Pininfarina's stretched balance sheet and financial position will be carried out in two phases. i. The lender institutions that provided Pininfarina with medium- and long-term loans and finance leases (the “Creditor Banks”) will assign without recourse to Pincar a portion of the receivables owed to them by Pininfarina totalling 180 million euros for a consideration of 1 euro. ii. Immediately following the abovementioned assignment, Pincar will forgive in their entirety the receivables owed by Pininfarina that it purchased from the Banks. iii. Concurrently with the abovementioned assignment of receivables, Pincar will agree to the following: (1) it will sell its entire equity interest in Pininfarina (equal in total to 50.6% of the share capital) and, for this purpose, it will select, by February 28, 2009, three top-rated investment banks (different from and independent of the Creditor Banks, Pincar, Pincar shareholders, Pininfarina and/or companies affiliated with the abovementioned parties) and, during the following 20 days, the Creditor Banks will choose among them the investment bank to which Pincar will award an irrevocable representation assignment (provided also in the interest of the Creditor Banks) and an irrevocable power of attorney authorizing it to sell the abovementioned equity interest by means of a private transaction or through one or more separate market transactions, in accordance with guidelines mutually agreed to by the parties, as set forth in an Annex to the Framework Agreement; and (2) if the equity investment in Pininfarina is in fact sold, it will pay as a supplement to the consideration originally paid for the abovementioned assignment of receivables (a) the amount of 180 million euros, plus accrued interest at a stipulated annual rate, or (b) the price actually received for the sale of the Pininfarina shares held by Pincar, net of any taxes and any other sales related charges, whichever is lower. iv. 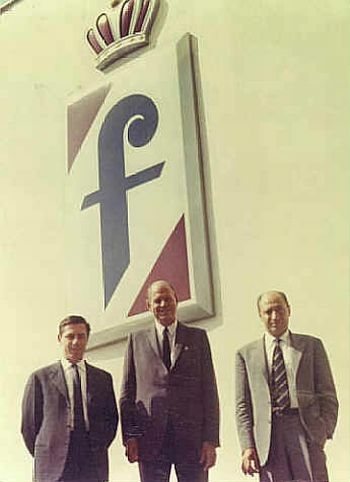 Pininfarina and all of the lender institutions will execute a Rescheduling Agreement, the effectiveness of which will be subject to the implementation of all of the activities scheduled for execution during Phase I and the fulfilment of the conditions precedent entailed by Phase I, as described below. v. Pincar will pledge Pininfarina shares that it owns equal to 49.46% of the Company’s share capital (the remaining 1.14%, currently the subject of a different pledge, will be pledged for the benefit of the Creditor Banks by February 28, 2009) to secure the performance of its obligations in connection with the implementation during Phase I of the assignment of receivables referred to in Section i. above and, if applicable, the implementation during Phase II of the assignment of the receivables referred to in Section ii. below, and in connection with the Rescheduling Agreement. In addition, Pincar shares equal to 99% of the share capital will be pledged to secure the abovementioned obligations. In both cases, the pledge agreement will stipulate that the parties pledging the shares will retain the voting rights, with the Creditor Banks being empowered to exercise the voting rights in the event of default (for example, if Pininfarina fails to comply with certain contractual obligations). i. Within the context of a broader debt restructuring agreement executed pursuant to Article 182-bis of the Bankruptcy Law (the “Restructuring Agreement Pursuant to Article 182-bis”), the “Pininfarina” trademark for Class 12 (Automotive), owned by Pininfarina, and for all other merchandise categories (excluding Class 12), owned by Pininfarina Extra S.r.l. (collectively the “Trademarks”) will be sold to a company wholly owned by the Creditor Banks (“Newco”) at a price equal to the value of the Trademarks, as determined by an expert appraiser of top standing and proven independence (the “Expert”). On December 23, 2008, the Company retained the firm of Valdani, Vicari e Associati for the purpose of performing this assignment. The Restructuring Agreement Pursuant to Article 182-bis will also provide for the following: (1) Newco will pay the sales price of the Trademarks by assuming an equal amount of indebtedness owed by the Company to the Creditor Banks and releasing the Company from the corresponding obligation; (2) use of the Trademarks will be granted on an exclusive basis to the Company and/or its subsidiaries against payment of royalties, the amount of which will be determined consistent with the value assigned to the Trademarks by the Expert; and (3) Newco will grant to the Company a call option enabling it to buy back and/or cause its subsidiaries to buy back the Trademarks at a price equal to their fair value on the date of purchase, as determined by an expert appraiser of top standing and proven independence. For this purpose, by February 28, 2009, the Company, based also on the expert appraisal provided by the Expert, must prepare the documents required by Article 182-bis of the Bankruptcy Law and other applicable statutes and file with the Court of Turing an application for approval of the Restructuring Agreement Pursuant to Article 182-bis. All stipulated transactions (including, among others, the sale of the Trademarks) will be executed or, if applicable, become effective only after the Restructuring Agreement Pursuant to Article 182-bis has been approved by the Court. However, the parties to the Framework Agreement reserved the right to evaluate in good faith alternative solutions, other than those outlined above, to implement the transaction described above without changing their effect. In this area, it is worth noting that, once Phase I has been completed, Pininfarina will undertake to ensure that ownership of the Trademarks is not transferred under any title and that they are not encumbered by a pledge. ii. If the value assigned to the Trademarks and, consequently, their sales price is less than 70 million euros, the Creditor Banks will assign without recourse to Pincar, in one or more installments, a portion of their receivables — up to an amount equal to the difference between 70 million euros and the value assigned to the Trademarks by the Expert (the “Difference”) — for a consideration equal to the face value of the assigned receivables, forgivable in part by the Creditor Banks upon the occurrence of certain specified events, it being understood that, only in the event that the interest held by Pincar in Pininfarina is actually sold, Pincar shall be required to pay to the Creditor Banks (a) the face amount of the assigned receivables, plus accrued interest at a stipulated annual rate, or (b) the price actually received for the sale of the Pininfarina shares held by Pincar, net of any taxes and any other sales related charges, whichever is lower. However, the parties to the Framework Agreement reserved the right to evaluate in good faith alternative solutions, other than those outlined above, to implement the abovementioned assignment of receivables without changing its effect. iii. Concurrently with the assignment of receivables referred to in Section ii. above, Pincar will Provide Pininfarina with an advance on future capital increases by forgiving receivables it purchased from the Creditor Banks equal to an amount sufficient to enable Pincar to underwrite its pro rata share (50.6%) of the rights offering capital increase described below. Subsequently, Pincar will provide an advance on future capital increases equal to the amount needed to cover any unexercised rights to the abovementioned capital increase, the underwriting of which Pincar will have agreed to guarantee, it being understood that the abovementioned assignment of receivables and related advance on future capital increases will be carried out only if a portion of the capital increase rights is not exercised. Moreover, the capital increase will be structured so as to ensure that the interest held by Pincar in Pininfarina after the capital increase will not be greater than 90% of the entire share capital. In addition, it will be expressly required that the additional Pininfarina shares acquired by Pincar through subscription will be pledged for the benefit of the Creditor Banks to secure the performance of the obligations described above. iv. As quickly as technically possible, Pininfarina will carry out (with Pincar guaranteeing its performance) a rights offering capital increase available to all shareholders, with Pincar guaranteeing the underwriting of shares corresponding to unexercised rights up to an amount to be determined. In this area as well, the parties to the Framework Agreement reserved the right to evaluate in good faith alternative solutions, other than those outlined above, to execute the transaction described above without changing its effect. The Framework Agreement also provides that, should Creditor Banks representing at least 66.67% of the term loan and finance lease exposure deem it appropriate, Phase II could be carried out merely through the assignment of the abovementioned receivables to Pincar and the implementation of the abovementioned capital increase. The new industrial plan, the implementation of which is predicated on the signing of the Framework Agreement, is designed to maximise the potential benefits of the electric car business and strengthen the Group’s styling and engineering services, in response to a steady contraction of the contract vehicle manufacturing market, which is affected by a negative trend that is expected to continue in the future. In light of recent developments in the automobile market, the Company does not plan to accept new contract vehicle manufacturing orders and will only complete the outstanding contracts with Alfa Romeo and Ford, which expire in 2011. Production volumes are expected to decrease steadily from 2009 to 2011, but will rise again in the 2012-2017 period as a result of the launch of the electric car. In this area, the Company expects to begin manufacturing electric cars in 2010 with the launch of “pilot programs” (with a limited number of cars for each one), with full-scale production scheduled for 2011. The styling and engineering operations are expected to grow in 2009, 2010 and 2011, due to activities carried out in connection with the development of the electric car, and will later stabilize at the levels achieved in previous years. To support its restructuring program, the Company is currently negotiating the divestment of its French operations headed by Matra. The sales process, which got under way in 2008, should be completed by the end of 2009, generating proceeds of about 18 million euros. Overall, the risks entailed by the implementation of the industrial plan are not expected to be different from those inherent in any business endeavour. If the Framework Agreement with the lender institutions is executed, the Company expects to have sufficient liquid resources to meet all of its obligations. These resources are already available and were listed on the various balance sheets published in 2008. In 2009, the industrial operations are expected to absorb liquidity at a level consistent with the maintenance of a sufficient safety margin. If the Framework Agreement is executed and Phase I of the Agreement is completed by December 31, 2008, the loss currently projected for 2008 would not be large enough to impair the value of Pininfarina’s share capital (out-of-period income of 180 million euros would be recognised). Even though, currently, all of the conditions precedent of the Framework agreement are expected to be fulfilled by tomorrow, if the Framework agreement is not executed or Phase I is not implemented in 2008, the loss incurred in 2008 would cause the Company’s entire share capital to be written off. At November 30, 2008, the Company’s gross indebtedness totalled 597.7 million euros, broken down as follows: 208.2 million euros in medium- and long-term facilities, 349.7 million euros in lease obligations, 39 million euros drawn down on short-term credit lines (on facilities totalling 49.8 million euros) and 0.8 million euros in intra-Group financing. Hopefully, all of the lender institutions will accept the Framework Agreement. The only exception is Fortis Bank, which has outstanding a medium- and long-term facility amounting to 41.9 million euros. On June 25, 2008, the Company reached a bilateral agreement with Fortis Banks to reschedule its credit lines. The lender institutions that are expected to accept the Framework Agreement represent indebtedness totalling 554.9 million euros, broken down as follows: 166.2 million euros in medium- and long-term facilities, 349.7 million euros in lease obligations and 39 million euros drawn down on short-term credit lines (on facilities totalling 49.8 million euros).